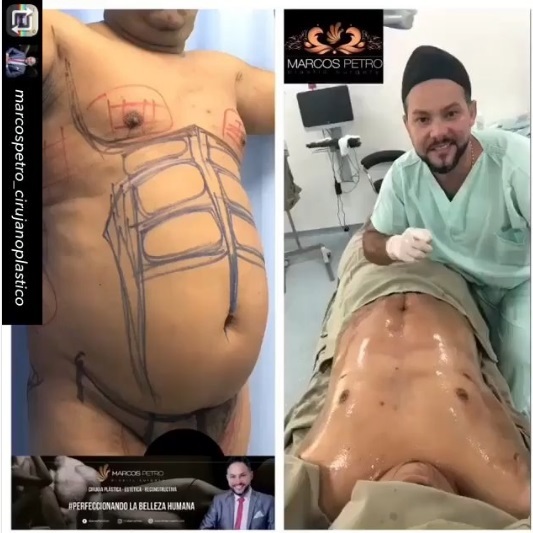 Tuesday, December 11, 2018 - You have certainly heard men and women getting liposuction to look slimmer but now men are paying an arm and a leg for the procedure in a bid to get six packs. Apparently, the procedure can be used on both guys who work out at the gym, but find it hard to achieve or keep their 'athletic stomach look', as well as overweight patients who want more definition and a muscular look. Interestingly, you will find a guy who used this procedure to get his six-packs start going to the gym to deceive guys on social media. Guys, unless it’s on medical grounds, it’s not that serious.